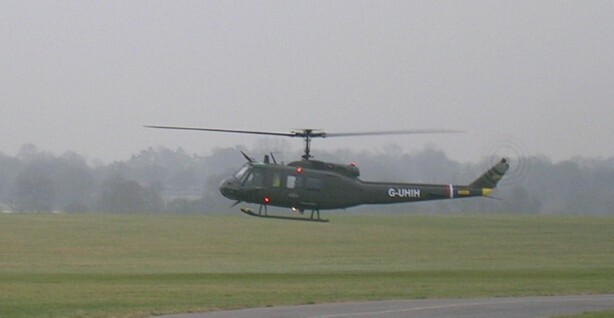 On 9th February 2006 , a cold and windy and snowy day, after a few technical hitches the CAA issued us with the Permit to Fly and the huey is now on the UK register under G-UHIH. 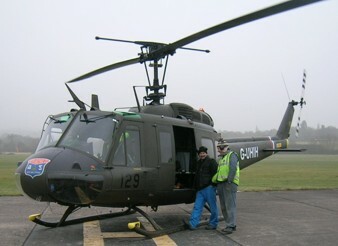 The next hurdle is getting Phil and Neil their licences to fly the huey! This requires receiving an exemption from the CAA for a type rating to be done. 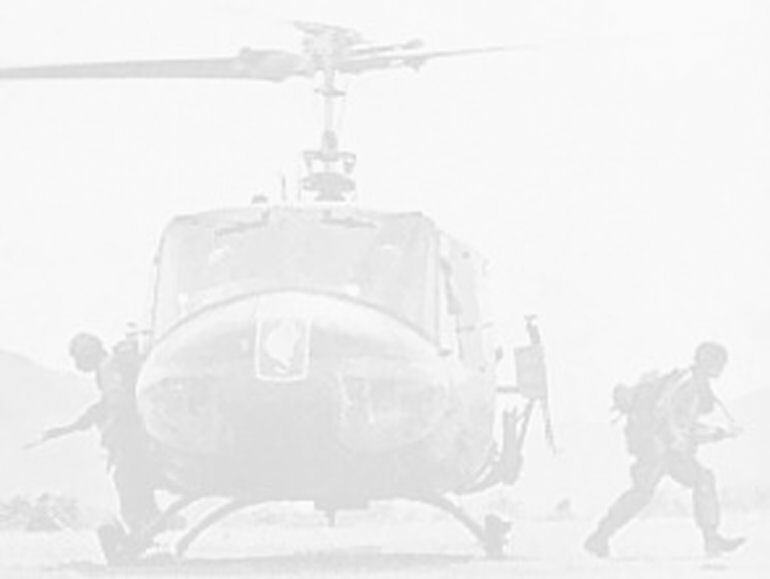 Phil and Neil will have to sit an approved test witnessed by the CAA in conjunction with Geoff Connolly of AV8. At the present time there is no such type rating in the UK ! So, this will be a first for the huey. Hopefully in the next few weeks all this will be completed.